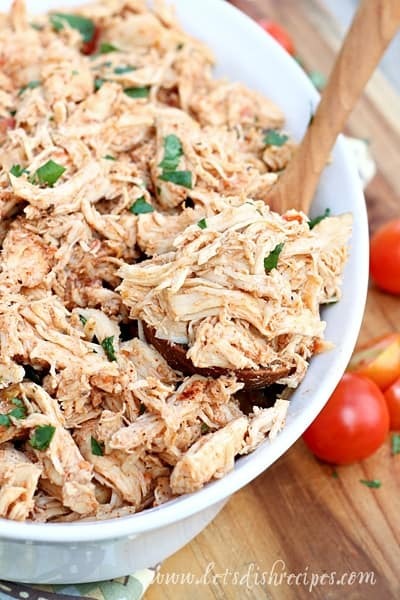 SLOW COOKER MEXICAN CHICKEN — Tender, slow cooked shredded chicken. 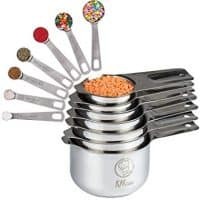 Perfect for tacos, burritos, enchiladas and more! 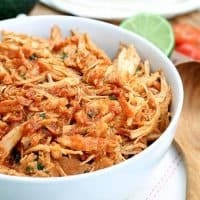 As far as I’m concerned, Slow Cooker Mexican Chicken is a recipe everyone should have in their collection. 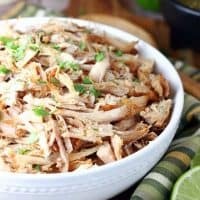 There are lots of different versions of this savory shredded chicken dish out there, and over the years, I’ve taken what I like from each to create my family’s favorite version of this versatile slow cooker staple. Why is this a must-have recipe? 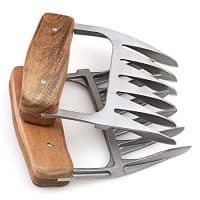 Because there are SO many ways to use it! Tacos, burritos, enchiladas, nachos, tostadas, chimichangas, soups, salads, sandwiches…..the possibilities are almost endless. Not to mention, it’s so easy to make. 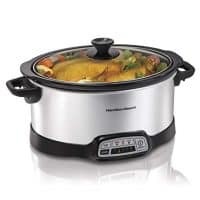 Just throw everything in the slow cooker and walk away! And you can make a huge batch and freeze the leftovers for those hectic nights when you barely have time to get dinner on the table. 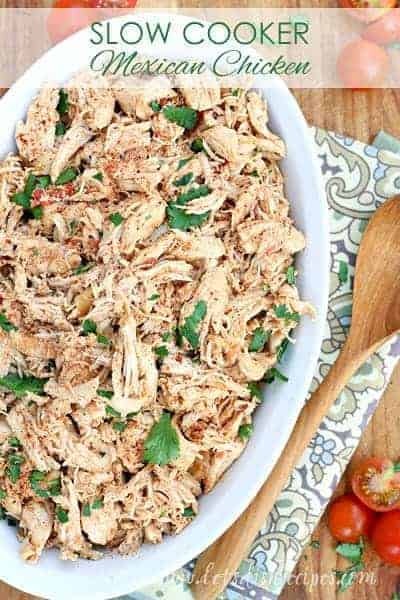 If you love the shredded chicken that’s so popular in Mexican restaurants, then you’ll definitely want to try this recipe. Don’t be put off by the seemingly long ingredient list. It’s mostly spices and seasonings, which is what makes this tender chicken so delicious. Our favorite way to use enjoy this chicken is in burritos, but there really are so many ways to use it. 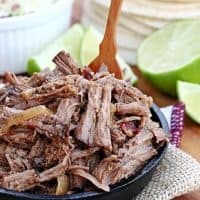 You can make it more or less spicy by adjusting the amount of canned chipotles in adobo you use, and by varying the heat level of your salsa. And it’s perfect if you need to feed a crowd. Just serve this chicken with tortillas, corn chips, and all your favorite taco toppings, and everyone will be satisfied. 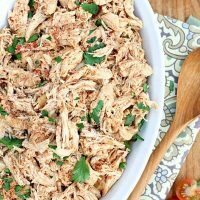 Be sure to save this Slow Cooker Mexican Chicken recipe to your favorite Pinterest board for later. Place chicken and remaining ingredients, except cilantro, into a lightly greased slow cooker. Cover and cook on low for 6 hours, or until chicken shreds easily with a fork. One hour before serving, remove chicken and shred with two forks. 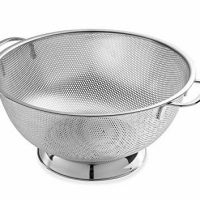 Strain the juices in the slow cooker through a mesh sieve. Discard solids. 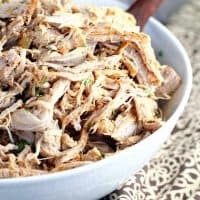 Return shredded chicken and strained juices to the slow cooker. Just before serving, stir in cilantro. Taste and reseason with salt and pepper, if needed. Chicken breasts are slow cooked in a blend of sriracha sauce, honey and lime juice, then shredded for tacos, burritos or sandwiches. 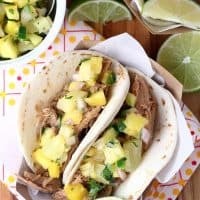 Slow cooked shredded pork is seasoned with Caribbean spices and served in tortillas with fresh pineapple salsa. 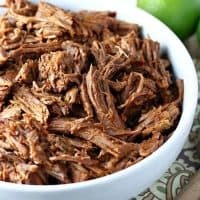 Slow cooked shredded beef with diced chilies, taco sauce and spices is perfect for burritos, tacos, enchiladas and more! Just reading the recipe, I can imagine how very flavorful this is. What a great make-ahead filling for burritos on a busy weeknight! Oh my gosh!!!! This is an awesome recipe. I left a Long review on the pinterest recipe post. Oh my goodness, if you like flavor, this is a must try. Its going in my recipe binder, a keeper for sure!!! !